“What do you know about Romania?” When asked what comes to mind, those unfamiliar with Romania typically think of three things: Dracula, Ceaușescu and gymnastics. Of course the country is so much more than that. It has a rich history and culture, with traditions that span thousands of years. But what most people don’t realise and perhaps the biggest surprise is that Romania has one of the oldest traditions of wellness in Europe. Spring water has become the gold standard for much of the western world in terms of health because it is naturally infused with minerals from the earth, and is largely toxin-free. Much of Romania takes drinking water from pristine natural springs, particularly those living in the countryside. The water that comes directly from the mountains fuels those who drink it with natural minerals, and ties them to the earth on the most fundamental level. There is an innate understanding that this water fuels lives, not just those of the people consuming it, but also the lives of their animals, their crops and the nature surrounding them. Eating food grown organically has been scientifically proven benefit our bodies. Not only does eating organic foods mean we are absorbing less potentially harmful chemicals into our bodies, but it typically also means that our food is fresher, better for the environment. Organic foods and may also contain more natural nutrients than their non-organic counterparts. Being blessed with a climate that allows the growth of many varieties of fruits and vegetables, Romanians can eat locally-grown produce almost year-round. Even better? Traditional farming methods use organic processes, which means that 70% of the produce bought form local farmers is organic. Humans have known for centuries that salt has the ability to cure many ailments of the body. From skin diseases to rheumatism to lung diseases, those with the knowledge of the healing properties of salt have long sought places and spaces to naturally heal themselves. Romania is home to six natural salt mines, and people have come from across the world to visit them and absorb their healing properties. With this knowledge, Romania now has a few mines that are completely closed to mining, but instead function as healing centres for those looking for holistic ways to cure their sicknesses. Budapest may be well-known for its natural hot springs and Roman baths, but did you know that Romania is home to more than one third of Europe’s natural hot springs and thermal pools? Similar to salt caves, thermal waters have the ability to heal a variety of diseases. Romanians have been utilising these healing powers for centuries, creating a tradition around natural, holistic healing methods that have become part of their culture. Coating your body with mud and letting it dry is maybe not the most romantic activities, but can leave your skin feeling smooth, soothed, detoxified and refreshed. Spas around the world have to import the mud and clays they use for this rejuvenating therapy. Not only can you find high quality mud and clay locally, but Romanians have also recognised the healing powers of mud baths for centuries. With the Black Sea to the east and the famous Danube River running through the country, there are ample opportunities to participate in this old wellness ritual. Bran Castle is perhaps the most debated Transylvanian icon. 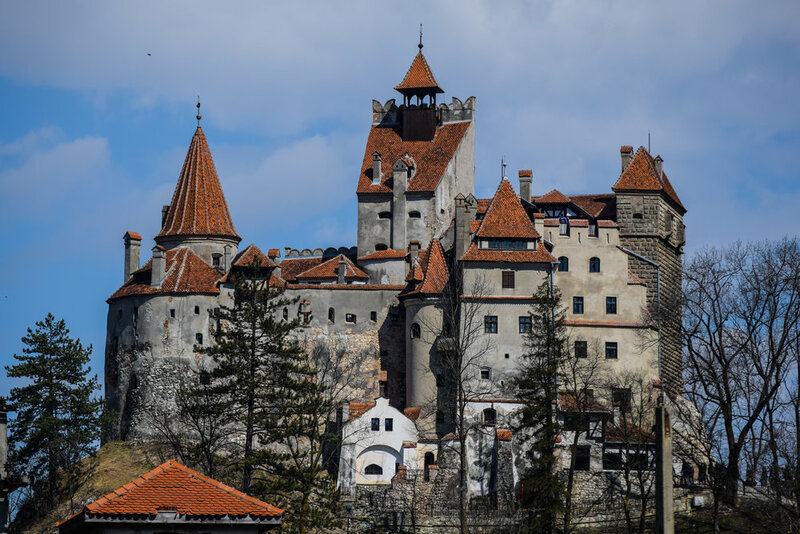 Whether or not Dracula was actually real, the castle offers a dramatic and impressive sight. With more than 1.5 million visitors per year, this castle is well worth the visit. The Bucegi Mountains are home to the famed, mystical Romanian Sphinx. You can either take the cable car or hike up to the Sphinx, but this natural rock formation is an awe-inspiring and lets visitors in on a little of the Transylvanian magic. Peles Castle, built by the first king of Romania, Sinaia and Busteni Resort are a short distance from the Bucegi Mountains, making these stops a nice day trip. Sighisoara is one of the most enchanting towns in Transylvania. Now a UNESCO World Heritage Sight, the city dates back to ancient Rome, and drips with history and charm. A walk through the medieval streets will make you feel as though you’ve stepped back in time. 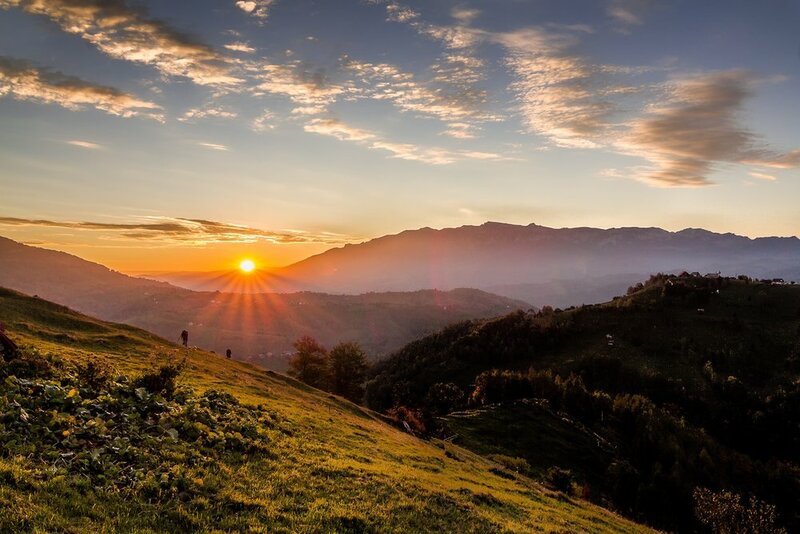 In order to take full advantage of the wellness tradition in Romania while enjoying the magic of Transylvania, a visit to Akasha Wellness Retreat is a must. Akasha offers yoga retreats and 200 hours Yoga Teacher Trainings with a variety of themes throughout the year, making it easy for anyone to find the perfect yoga and detox retreat in Transylvania. Combining yoga with an in-house spa, sauna, hot tub, nourishing food and of course the natural beauty of Transylvania, Akasha truly has the power to restore, rebalance, and reset your wellness journey.